Radon Gas is an order less, tasteless and Natural Occurring Gas emitted by the soil from decomposing minerals in the soil. It is #2 leading cause of Lung Cancer only behind smoking. Radon Gas enters into the home through the water supply, windows and doors, cracks and leaks in foundation and concrete floors. We can test your home to see how much Radon Gas is infiltrating your home and create a mitigation plan to protect your family. 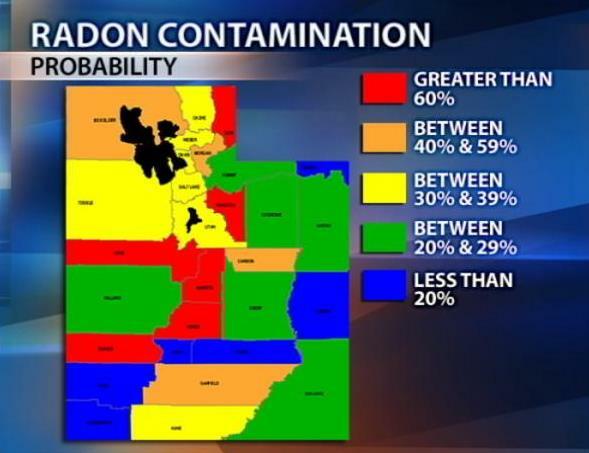 Have your indoor air and drinking water check for proper Radon Levels. A radon test is taken to determine the amounts of radon inside the house. Radon is a radioactive gas that is caused be the breakdown of uranium in the ground. Because radon is a light gas it will flow from the ground up through the house. As it enters the house it can become trapped causing higher amounts of radon to collect inside the house. A radon test is performed with a radon monitor, which is required to be left at the property for 48 hours. After the 48 hours the average amount of radon will be known. This is measured in pCi/L. The EPA only allows average radon levels up to 4.0 pCi/L.